If you’re anything like me the “Exit Tunes Pressents wp_____” albums are a big deal! Personally, I feel like this is the most Vocaloid-diverse album released (probably because of the two Gakupo songs). The album has been released, you can get it from Amazon (Japanese) or cdjapan. The track listing is below, as well as some reasons to visit the official website! As we can see, there are some big titles (Matryoshka and Antichlorobenzene) and some old titles (ggrks) included in this album. I encourage everyone to visit the site! If you have never visited one of these sites they are very nice and contain many things such as: PV’s for the album, links to listen to the tracks and watch the Nico videos, download the album cover, and even a game (much like Bejeweled)! The site is very user friendly even for those of us who cannot speak the language! Once again here is the site. That would be 左 (hidari), who also did cosMo's album, which is also distrubuted by EXIT TUNES. I'm not buying CD for reasons of cost, environmentalism and more importantly fair return to artists , but I have to admit that I'm always watching the releases of Exit Tunes in case I missed some interesting songs. And this one is packed with very good music (I already bough Knife and Himitsu Keisatsu). Speaking about the producers' fair share of their music sales, I'm wondering how much labels like KarenT or ExitTunes give back. I'm sure they're not the kind of parasitic leech Sony Music is (Producers get less than 10% of sale), but more transparency could help. Does any P's told his audience what's his contract ? People like CD Baby are giving back 60% of the CD / track sales to the music producers, I really hope that the Doujinshi music distributors in Japan are as fair as this Indie music distributor. Shame…there's only like 3-4 songs on here I even like. Not enough to justify buying the CD. But of all of the EXIT TUNES album this has the highest concentration of MUST HAVE songs. I would translate ggrks-ググれカス as “Just Fuc**** Google It”. Partially because it puts a bit of the punch back into the line after taking “kasu” out, but also because it allows you to puts the existing English abbreviation of JFGI in there. Good stuff, GreenSage! Was exciting when I saw you wrote this. Another great Exit Tunes release. 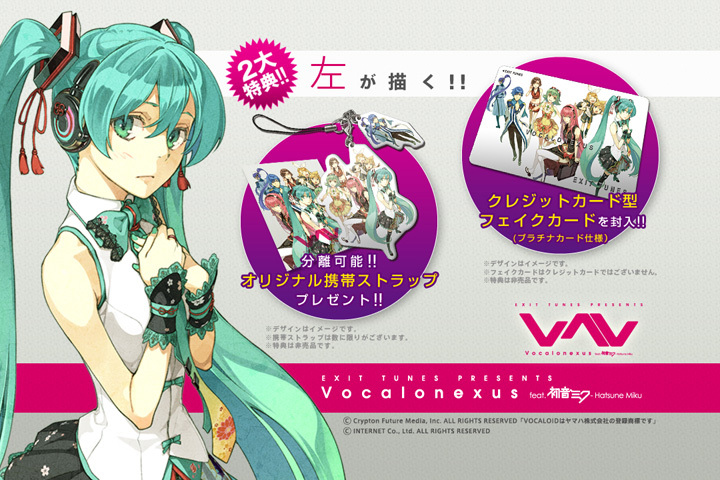 I already have Vocaloanthems which was also pretty good!